QIANG XIN STAINLESS SCREW & FASTENER CO., LTD.
SHUNDE FOSHAN RUI LI PRINTING INDUSTRY CO., LTD.
JIANGSU HONGYANG QUANYUE MACHINERY MANUFACURING CO.,LTD. GAOYAO CITY JINLI XINGHUI METAL PRODUCTS CO., LTD.
FOSHAN SHUNDE JINGSEN METAL WORK CO., LTD.
RONG NAN METAL PRODUCTS CO., LTD.
JIANG XI JIN BEST INTO HARDWARE PRODUCTS CO., LTD.
JIEYANG YONGSHENG HARDWARE PRODUCTS CO., LTD.
NANTONG SANV MECHANIC AND ELECTRONIC TECHNOLOGY CO.,LTD. SHANGHAI CHUANGGU FASTENER MANUFACTURING CO., LTD.
GAOYAO JINLI YONGLIANG HARDWARE PRODUCTS CO., LTD.
GUANGDONG SHUNDE WELLPOINT METAL PRODUCTS CO., LTD.
YIXUN DOOR CONTROL CO. LTD.
SHANGHAI LONGSHINE WINDOW CO., LTD.
Zhaoqing City Gaoyao District Lirui Hardware Products Co., Ltd.
HUISDA HARDWARE PRODUCTS CO., LTD.
GUANGDONG XIONGJIN METAL PRODUCTS COMPANY LTD.
Shanghai MeiWu Information Technology Co., Ltd.
FOSHAN GUYU JIANLANG CONSTRUCTION HARDWARE CO. LTD.
ON THE SEA-BASED YONG METAL PRODUCTS CO., LTD.
HANGZHOU BOPAN SMART SYSTEM CO.,LTD. SHENZHEN CITY TIANMAO INDUSTRY CO., LTD.
JIANGSU ONLY CONSTRUCTION HARDWARE CO.,LTD. DONGGUAN WOKING HARDWARE CO., LTD.
DONGGUAN JUNHUA DOOR & WINDOW ACCESSORIES CO., LTD.
NANJING WEMUST AUTOMATIC MACHINERY CO., LTD.
GAOYAO CODE MATEL PRODUCT CO., LTD.
SHENZHEN KINBING FASTENERS CO., LTD.
ALTECH MACHINERY (SHENZHEN) CO., LTD.
SHENYANG RUIDE PLASTIC & RUBBER MANUFACTURE CO., LTD.
WINGKAY PLASTIC PRODUCTS CO., LTD.
Jia Lu Building Materials Co., Ltd.
WUHAN GUOHUA GUANGDA ADHESIVE PRODUCTS CO.,LTD. DONGGUAN CHANGHUNG HARDWARE PRODUCTS CO., LTD.
Jiangxi kingwe & yealy fastener CO., LTD.
CHONGQING HAILIOU HOME SUPPLIES CO., LTD.
Shanghai Jian Liang Hardware Products Co., Ltd.
Heilongjiang Guozheng economic and trade co. LTD.
ZHEJIANG CHAOYU TOOLS CO., LTD.
Foshan Nanhai Leike Curtain Wall Ltd.
Zhaoqing Jinggong hardware decoration product Co., Ltd.
Foshan Jintai Hui Motor Co. Ltd. 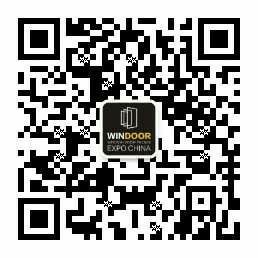 WIN DOW ELECTRICAL CO., LTD.
JINGFENGLI TOOLS (SHENZHEN) CO., LTD.